A slaughtered whale was photographed on board a Japanese ship by the activist group Sea Shepherd, in defiance of a recent international court ruling against Tokyo’s sea hunts. The Sea Shepherd group departed Australia in two vessels last month, specifically to track down the ‘Nisshin Maru’, which they found in the Southern Ocean around Australia’s whale sanctuary in the Antarctic Territory, reports AFP. 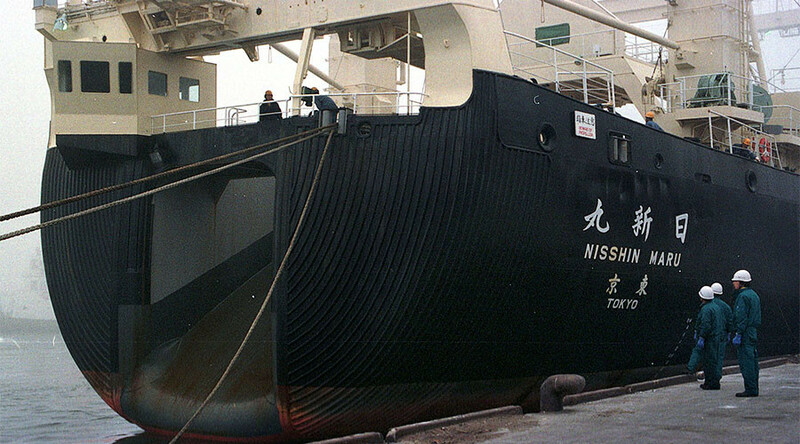 The ‘Nisshin Maru’ set sail with a Japanese fleet in November, 2016, on an apparent mission to hunt down the protected mammals, against international orders from a worldwide moratorium on commercial whaling. The conservationist organization released the damning photographs of a dead minke whale Sunday and said the vessel’s crew attempted to cover the carcass when they noticed the group’s helicopter overhead. “The fact that the Japanese crew went to cover up their harpoons and the dead minke whale on deck just shows that they know what they're doing is wrong,” wrote the captain of Sea Shepherd's ‘MY Steve Irwin’, Wyanda Lublink, in a statement. Sea Shepherd has been trying to disrupt Japanese harpoon voyages, and other whale and dolphin killings across the world, for more than a decade. Australia’s Environment Minister Josh Frydenberg said he was “deeply disappointed” by the revelation, which came one day after the Japanese and Australian prime ministers met in Sydney to discuss trade and defense. “We will continue our efforts in the International Whaling Commission to strongly oppose commercial whaling and so-called ‘scientific’ whaling, uphold the moratorium on commercial whaling and promote whale conservation,” added Frydenberg in a statement.